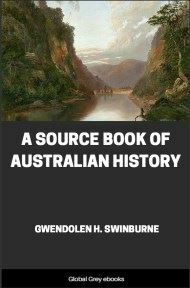 A series of letters that would later be complied into a book, which compares the major cities of Australia, at the time Sydney, Melbourne and Adelaide, to each other and to those in the United Kingdom. 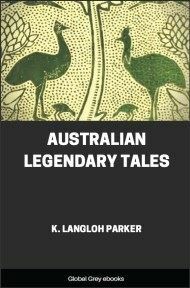 Chapters include: A Walk Round Melbourne; Sydney; Adelaide; Houses; Furniture; Servants; Food; Dress; Young Australia; Social Relations; Religion And Morals; Education; Politics; Business; Shops; Amusements; Newspapers; and, Literature, Language, And Art. Although most educated people know that Melbourne, Sydney, and Adelaide are populous towns, I should doubt whether one Englishman, who has not been to Australia, out of a hundred realizes that fact. I well remember that, although I had taken some trouble to read up information about Melbourne, I was never more thoroughly surprised than during the first few hours after my arrival there. And I hear almost everyone who comes out from England say that his experience has been the same as my own. In one sense the visitor is disappointed with his first day in an Australian city. The novelties and the differences from the Old Country do not strike him nearly so much as the resemblances. It is only as he gets to know the place better that he begins to notice the differences. The first prevailing impression is that a slice of Liverpool has been bodily transplanted to the Antipodes, that you must have landed in England again by mistake, and it is only by degrees that you begin to see that the resemblance is more superficial than real. Although Sydney is the older town, Melbourne is justly entitled to be considered the metropolis of the Southern Hemisphere. The natural beauties of Sydney are worth coming all the way to Australia to see; while the situation of Melbourne is commonplace if not actually ugly; but it is in the Victorian city that the trade and capital, the business and pleasure of Australia chiefly centre. 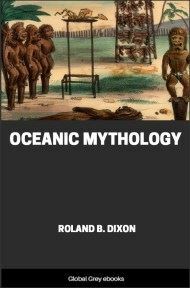 Is there a company to be got up to stock the wilds of Western Australia, or to form a railway on the land-grant system in Queensland, to introduce the electric light, or to spread education amongst the black fellows, the promoters either belong to Melbourne, or go there for their capital. The headquarters of nearly all the large commercial institutions which extend their operation beyond the limits of any one colony are to be found there. 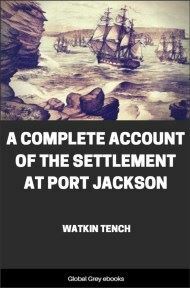 If you wish to transact business well and quickly, to organize a new enterprise--in short, to estimate and understand the trade of Australia, you must go to Melbourne and not to Sydney, and this in spite of the fact that Victoria is a small colony handicapped by heavy protectionist duties, whilst Sydney is, comparatively speaking, a free port, at the base of an enormous area. The actual production does not take place in Victoria, but it is in Melbourne that the money resulting from the productions of other colonies as well as of Victoria is turned over. It is Melbourne money chiefly that opens up new tracts of land for settlement in the interior of the continent, and Melbourne brains that find the outlets for fresh commerce in every direction. There is a bustle and life about Melbourne which you altogether miss in Sydney. The Melbourne man is always on the look-out for business, the Sydney man waits for business to come to him. The one is always in a hurry, the other takes life more easily. And as it is with business, so it is with pleasure. If you are a man of leisure you will find more society in Melbourne, more balls and parties, a larger measure of intellectual life--i.e., more books and men of education and intellect, more and better theatrical and musical performances, more racing and cricket, football, and athletic clubs, a larger leisured class than in Sydney. The bushman who comes to town to 'knock down his cheque,' the squatter who wants a little amusement, both prefer Melbourne to spend their money in. The Melbourne races attract three or four times the number of visitors that the Sydney races do; all public amusements are far better attended in Melbourne; the people dress better, talk better, think better, are better, if we accept Herbert Spencer's definition of Progress. There is far more 'go' and far more 'life,' in every sense of these rather comprehensive words, to be found in Melbourne, and it is there that the visitor must come who wishes to see the fullest development of Australasian civilisation, whether in commerce or education, in wealth or intellect, in manners and customs--in short, in every department of life. Passengers by ocean-going vessels to Melbourne land either at Sandridge or Williamstown, small shipping towns situated on either side of the river Yarra, which is only navigable by the smaller craft. A quarter of an hour in the train brings the visitor into the heart of the city. On getting out he can hardly fail to be impressed by the size of the buildings around him, and by the width of the streets, which are laid out in rectangular blocks, the footpaths being all well paved or asphalted. In spite of the abundance of large and fine-looking buildings, there is a rather higgledy-piggledy look about the town--the city you will by this time own it to be. There are no building laws, and every man has built as seemed best in his own eyes. The town is constantly outgrowing the majority of its buildings, and although the wise plan of allowing for the rapid growth of a young community, and building for the requirements of the future rather than of the present, is generally observed, there are still gaps in the line of the streets towards the outskirts, and houses remaining which were built by unbelievers in the future before the city. In the main thoroughfares you might fancy yourself in an improved Edgeware Road. In a few years Collins and Bourke Streets will be very like Westbourne Grove. The less frequented streets in the city are like those of London suburbs. There are a few lanes which it is wiser not to go down after ten o'clock at night. These are known as the back slums. But nowhere is there any sign of poverty or anything at all resembling Stepney or the lower parts of an European city, The Chinese quarter is the nearest approach thereto, but it is quite sui generis, and squalor is altogether absent.